Number of points that separates the top four 450SX riders in the points standings. 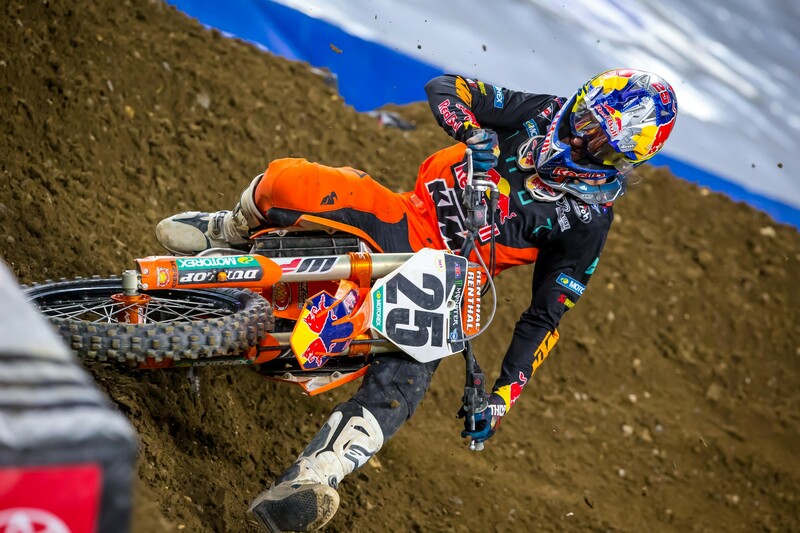 Ken Roczen takes over the points lead for the second time this season after a second-place finish in Minneapolis. Cooper Webb sits in second with 124 points and Eli Tomac and Marvin Musquin are tied for third with 123 points each. Number of main event wins for Ken Roczen, the 450SX points leader after six rounds. Number of main event wins for Cooper Webb, who is in second in the 450SX points after six rounds. 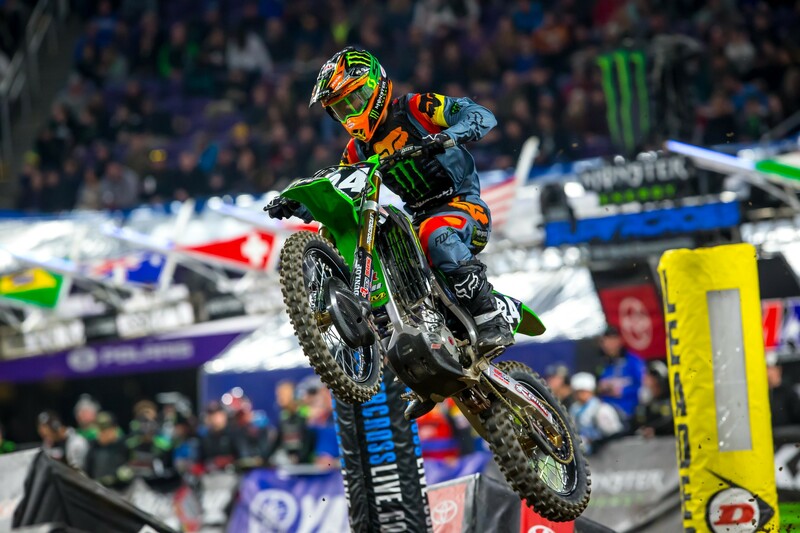 Of 20 laps led by Monster Energy Kawasaki rookie Joey Savatgy in the 450SX main event on Saturday. Savatgy would eventually finish fourth. 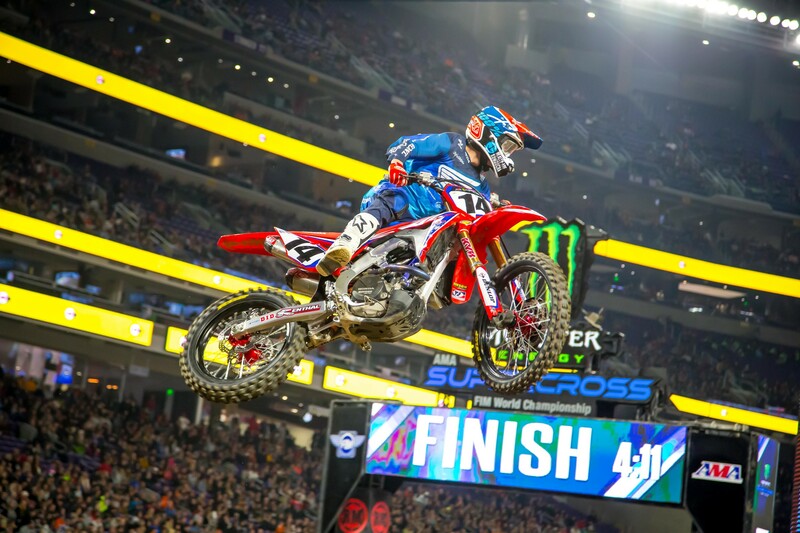 Dean Wilson had a similar stat line in Anaheim 1, leading 14 laps and then missing out on the podium with a fourth place finish. Place of Monster Energy Kawasaki’s Eli Tomac, the points leader heading into Minneapolis, after the first lap of the 450SX main event. Tomac would eventually finish in sixth but would lose the red plates. 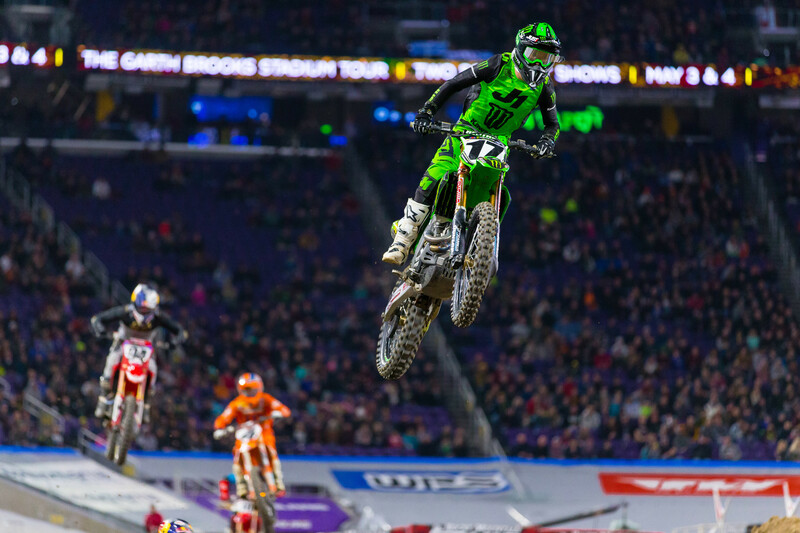 Of 20 laps led by Monster Energy/Pro Circuit Kawasaki’s Austin Forkner in the 250SX East Region main event on Saturday. Number of Monster Energy/Pro Circuit Kawasaki riders who now have the red plates in their respective 250SX class, with Adam Cianciarulo holding the West Region points lead after five rounds and Forkner now in the East Region points lead after winning the first race of the year. “It was definitely a tough night. I made it really hard on myself going down in the heat race while running in second – I made a little mistake that cost me big time and then again, I hit neutral and went down again. With a really bad gate pick, I knew it was going to be hard to choose either inside or outside on the gate but I chose to go very far inside and I didn’t get the start I wanted. “Man today was just awesome. Of course I would have liked to win the main event, but we learned so much. You have to start somewhere with getting the experience of leading laps and tonight we accomplished that. My KX450 was a rocket ship all day long and helped me get the day started properly as we qualified first and then got third in the heat race. In the main event, I got a great jump out the gate and was able to make a quick pass into first. I need to clean up a few mistakes but tonight was a big step in the right direction." "It was a rough one for me. I definitely struggled on my starts. I got a break in the heat race. I got a bad jump, but shot the gap and made it. In the main event I didn’t have that gap and I got shut off; I definitely need to keep working on it. 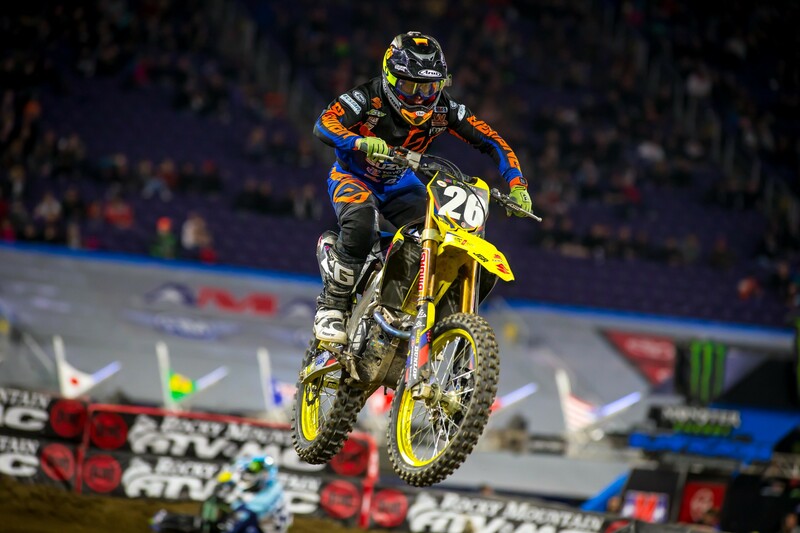 You may have missed it, but Chad Reed has a new personal sponsor he debuted in Minneapolis. Across Reed’s helmet were cbdMD stickers, a company that sells CBD products. Of course, we’ve been down this road already earlier this year when Dean Wilson was not allowed to run Ignite logos on his jersey or bike and was forced to black them out. While Wilson is JUST sponsored by the CBD part of the program, Ignite sells marijuana in addition to their CBD products. You can read our initial reporting on the matter here. How does this differ? Why was Reed able to run his logos? 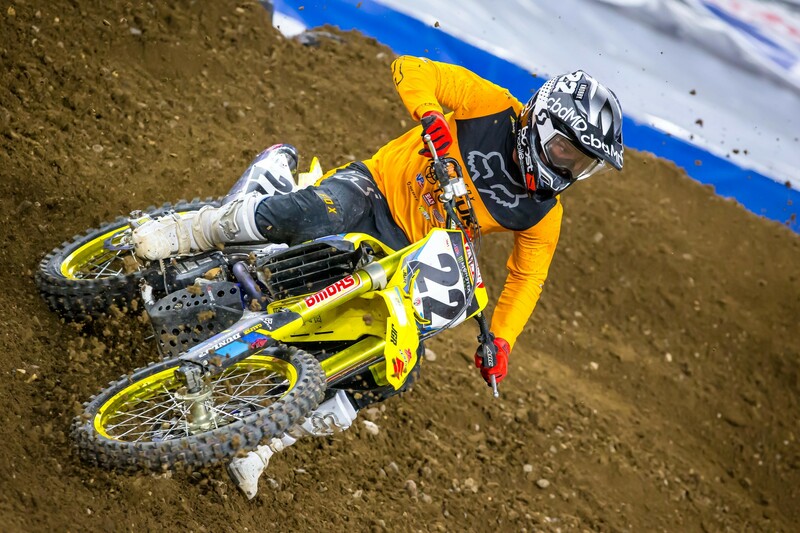 We are trying to find out, but Steve Matthes, Jason Thomas, and Jason Weigandt did discuss it on the Racer X Podcast that is out now. Stay tuned as we find out more about the subject. Rocky Mountain ATV/MC-KTM-WPS’ Blake Baggett was battling for a podium late in the 450 main event on Saturday before making a mistake and going down hard. Baggett did not finish the race, but we’ve spoke with members of the team and while he is banged up, don’t expect Blake to miss any races. We have heard he may not be able to practice this week but will line up in Arlington for round seven on Saturday. Incredible work here by Jordon Smith’s mechanic Kristian Ortiz for getting Smith’s rear tire changed while on the line for the 250 main event. Smith experienced a rear flat tire but the team was able to make the change and he went on to finish second.